Heavy metal musicians do all sorts of weird things to make themselves look more intense, but this is a new one on us. 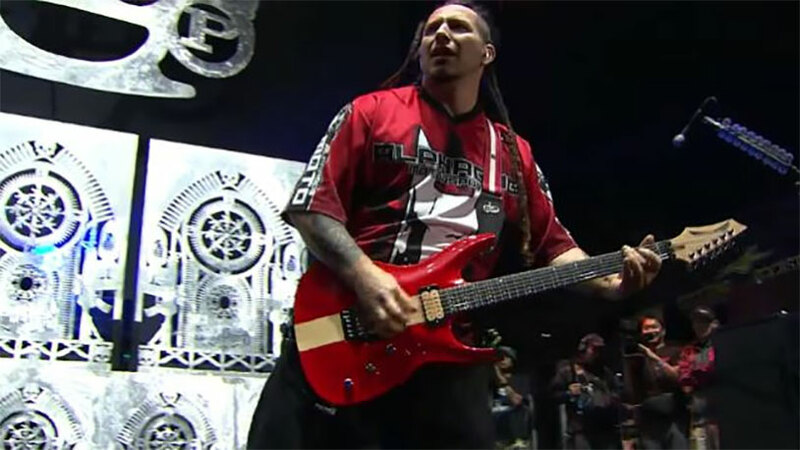 According to a new interview, guitarist Zoltan Bathory of Las Vegas-based metal band Five Finger Death Punch used to use blue dye to tint his ballsack. Bathory talked to Metal Hammer in a wide-ranging interview, and at one point the topic turned to personal grooming. Well, that’s certainly unique. One would think that if you have already managed to land your groupie of choice due to your metal mastery they’re not going to really care what color your ballsack hair is, but maybe that’s why we’re not famous rock stars.